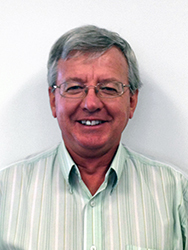 Doug leads all business planning, strategy and operations for Solari Energy, a subsidiary of Solar Inception Pty Ltd. Previously General Manager for Solar Inception, he grew the solar distribution and project business across Australia and internationally. Doug has more than 40 years of company ownership and management experience across a broad range of national and international business sectors. Renewable energy, agriculture and technology have been key industries of focus during his career. Doug is well equipped to lead and grow Solari Energy’s market presence. At one point in his career, he managed remote sites across 20 countries, demonstrating his ability to lead, manage, coordinate and ensure that projects are delivered on time and within budget. Based on his deep-seated knowledge of renewable energy solutions and trends, Doug is a frequent speaker at major industry events, including giving a keynote address at Australia’s Solar 2013 Conference and Expo.